Don’t let those eggs from your Easter egg hunt go to waste – make egg salad from them and stuff it into the carrots right before serving! 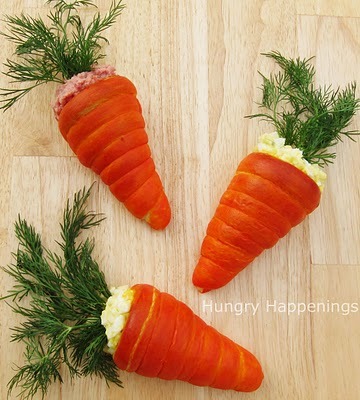 These delicious carrot crescents look lovely on your Easter table. Thanks for featuring my Carrot Crescents filled with Egg Salad. It’s one of my favorite edible craft creations.